The Measure Q grant funded the Friends of Master Gardeners of Santa Clara County's Master Gardener Community Education Center at Martial Cottle Park: Supporting the Environment at Your Own Home. This project created a multi‐generational Community Educational Center that helps individuals and families become stewards of nature and teaches them how to grow healthy food year‐round using environmentally sound gardening practices. 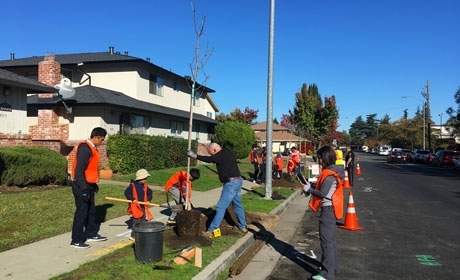 The Authority contributed funds towards the City of Campbell's Nido Neighborhood Reforestation Project, which aims to plant 116 new trees in a disadvantaged neighborhood in Central Campbell. The project will plant new, drought tolerant trees that will increase the quality of life for neighborhood residents, decrease crime, and reduce traffic speeds. These trees will also help decrease storm water runoff, remove pollution from the air, and reduce urban heat. 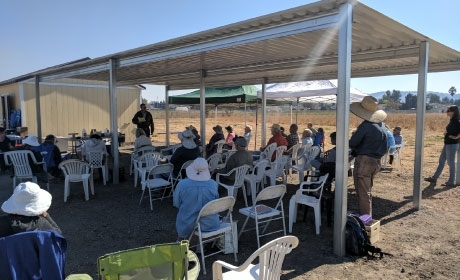 The Authority contributed funds to the Regents of the University of California UCCE Santa Clara County's Development of a Small and Urban Beginning Farmer Learning Hub at Martial Cottle County Park. This project provides hands-on training opportunities that help beginning farmers and ranchers achieve and sustain their economic goals in the Santa Clara County. This project will create a demonstration and education hub for small, limited-resource beginning farmers and ranchers of diverse backgrounds. Training is provided through workshops and field days and facilitates farmer-to-farmer networking. 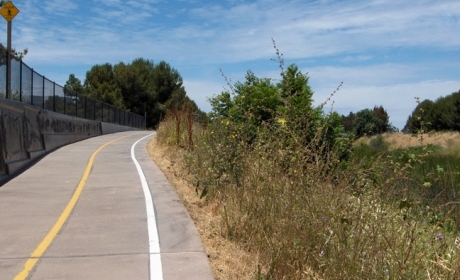 The Open Space Authority allocated $55,000 to the City of Santa Clara for the first phase of the San Tomas Aquino/Saratoga Creek Trail. This segment is located near Great America Parkway and Tasman Drive, providing a place for outdoor exercise and recreation to many who live and work in the area. When completed, the trail will cover 12 miles and provide an alternate transportation route for residents and workers.